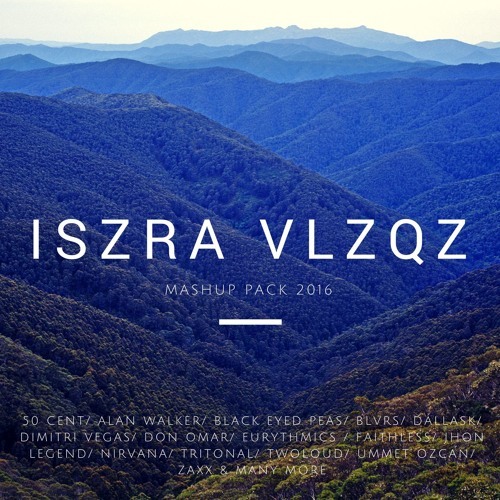 1.- Daft Punk x Madison Mars x Hardwell & AVB- Harder Better Doppler Hook (Iszra Vlzqz Mashup) 2.- Black Eyed Peas Vs BLVRS- I Gotta Rhythm (Iszra Vlzqz Mashup) 3.- Guru Josh Proyect x Bingo Players x KSHMR- Infinity Bazaar (Iszra Vlzqz Mashup) 4.- Jhon Legend Vs Dallask- All Of Powertrip (Iszra VlzqzMashup) 5.- Justin Bieber x Mike Posner x Hardwell Ft W&W & Lil Jon- Sorry Live The Night In Ibiza (Iszra Vlzqz Mashup) 6.- Nirvana x Ummet Ozcan x Alan Walker- Smells Like Megatron Faded (Iszra Vlzqz Mashup) 7.- Eurythmics Vs Zaxx- Sweet Phunky (Iszra Vlzqz Mashup) Copyright Disclaimer Under Section 107 of the Copyright Act 1976, allowance is made for "fair use" for purposes such as criticism, comment, news reporting, teaching, scholarship, and research. Fair use is a use permitted by copyright statute that might otherwise be infringing. Non-profit, educational or personal use tips the balance in favor of fair use.